I had a friend that worked at Victoria’s Secret, but then she got a pink slip. As the years roll by, I find it really interesting what will spark a long-buried memory. The Younger Daughter wanted to play a board game recently. 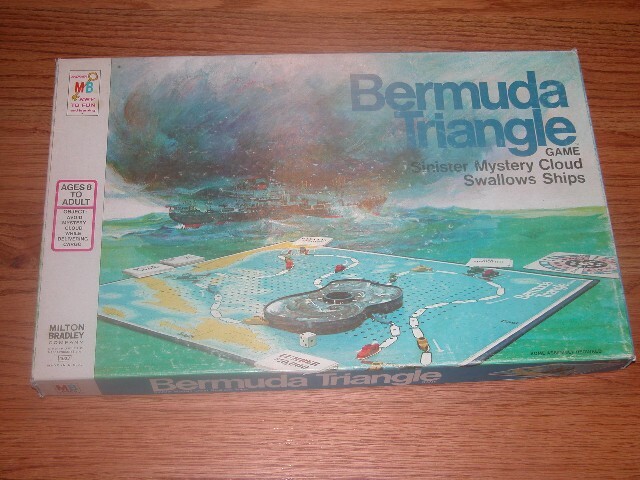 She went to the game closet and pulled out an ancient game that I, for some unknown reason, have been lugging around for years–Bermuda Triangle. 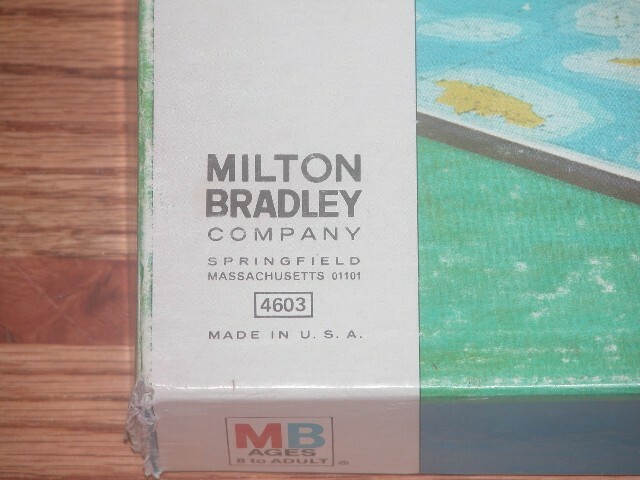 This game was introduced by Milton Bradley in 1976. It doesn’t appear that they are still producing it, though I don’t know how long it was on the market. In a nutshell, you have a fleet of ships going from port to port delivering cargo. You earn money for each successful delivery. Unfortunately, there is an evil cloud that moves randomly about the board sucking up ships in its wake. It is mostly a game of chance; however, there is some strategy involved in trying to block other ships from docking safely away from the cloud. I enjoyed the game as a child, but wasn’t really excited that she had chosen this game. But, that’s what she wanted to play, so that’s what we’ll do. I opened up the box to start setting up the game. When I pulled the board out, I noticed several blades of grass in the bottom of the box. This seemingly random discovery is where I took a quick journey back about 30 years. My best friend during my pre-teen years lived just 3 houses down. We were inseparable. On a beautiful, sunny, summer day in western Oregon, he had come over for an afternoon of fun. We were just finishing up sandwiches and lemonade that my mom had made. After that, our first order of business was to get some trucks to honk at us. You see, we lived about a half a mile from a sawmill. So, we would go stand out by the road and pump our arms to get the log truck drivers to honk. When we tired of that, we decided that it was time for a board game. We settled on Bermuda Triangle, but decided that it was much too nice of a day to sit inside at the kitchen table. So we took the game and our lemonade out on front lawn. I don’t recall how the game went or who won and I really don’t care. It was a great, lazy summer day. This memory had been tucked away in my brain until the discovery of the blades of grass that had been in the Bermuda Triangle box for nearly 30 years. It was with almost sadness that I cleaned out the box. But I don’t want to be some freak that saves 30-year-old grass.